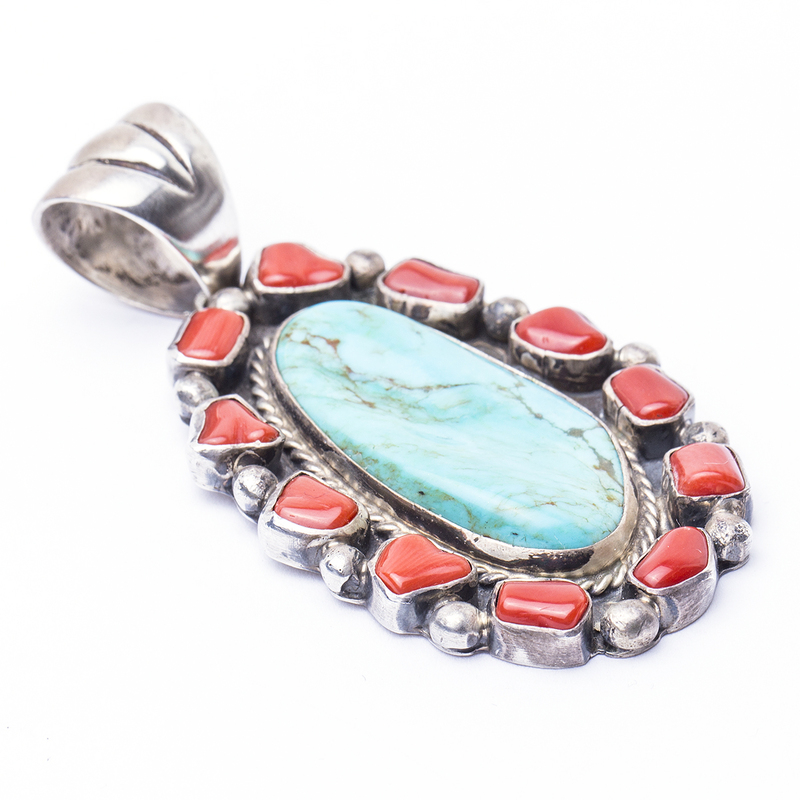 This Navajo made pendant is handcrafted in darken Sterling Silver with raw pieces of red Coral and a smooth Turquoise stone. 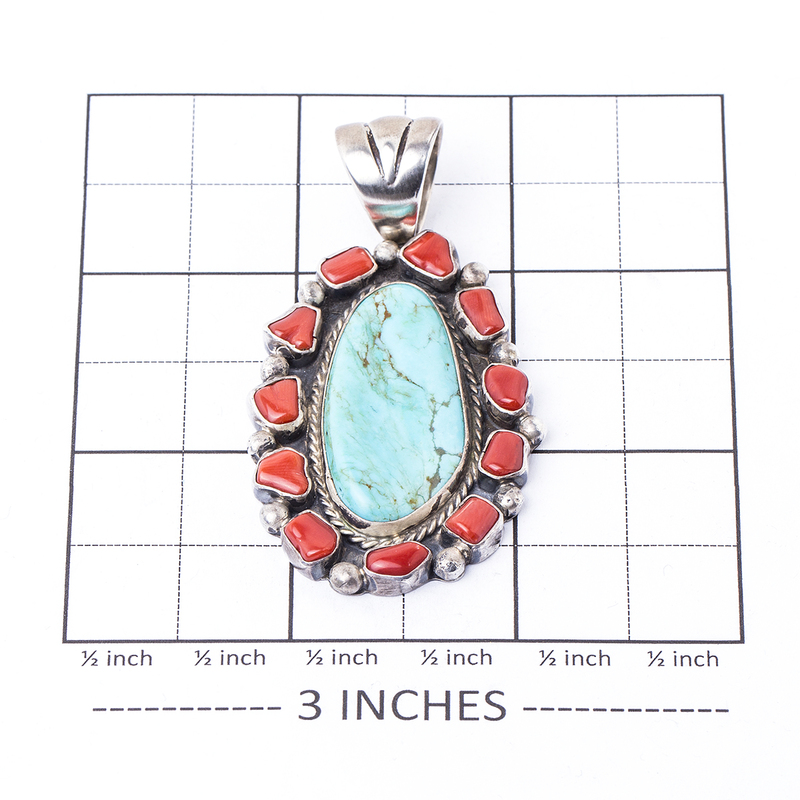 Attach this old style pendant on a Sterling Silver chain or suede rope. The piece all together has a beautiful composition and would complete your Southwestern outfit. 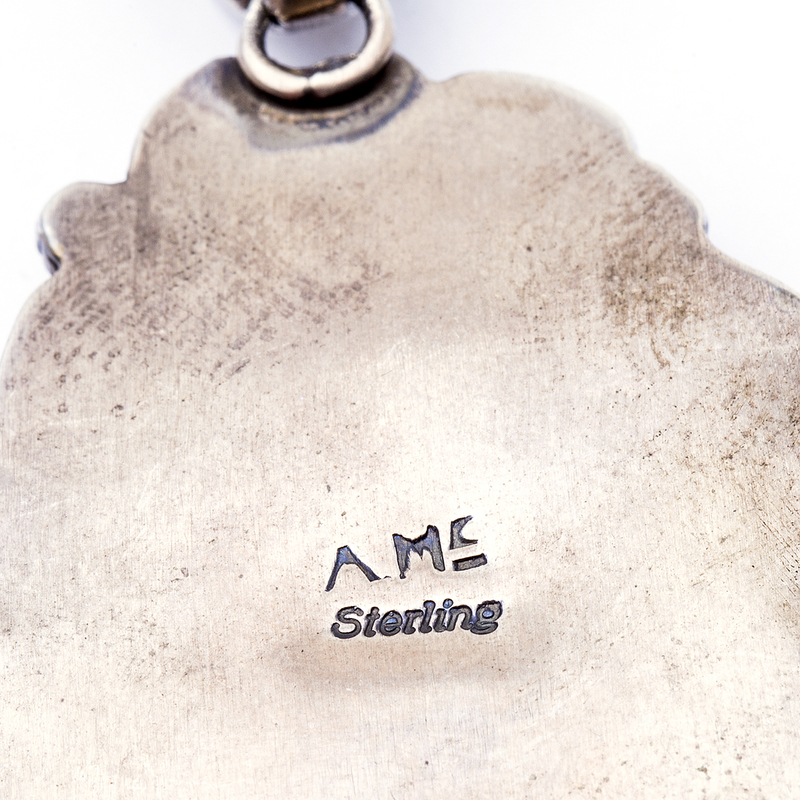 This pendant is hallmarked “AME” and “Sterling”. 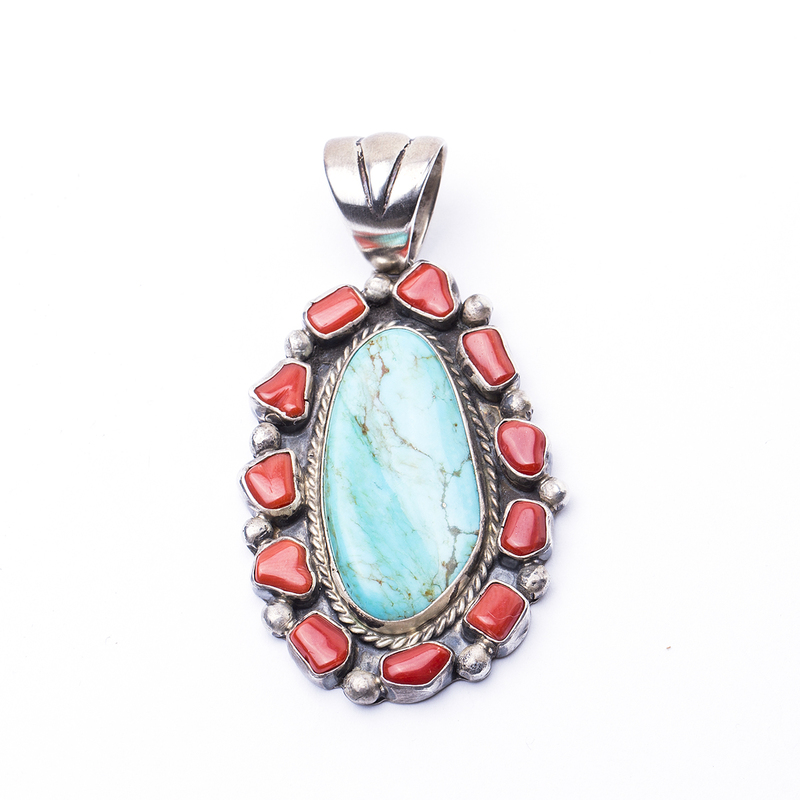 Navajo AME Turquoise Coral Pendant is a beautiful display of raw pieces of red Coral and a smooth Turquoise stone in a Sterling Silver setting.